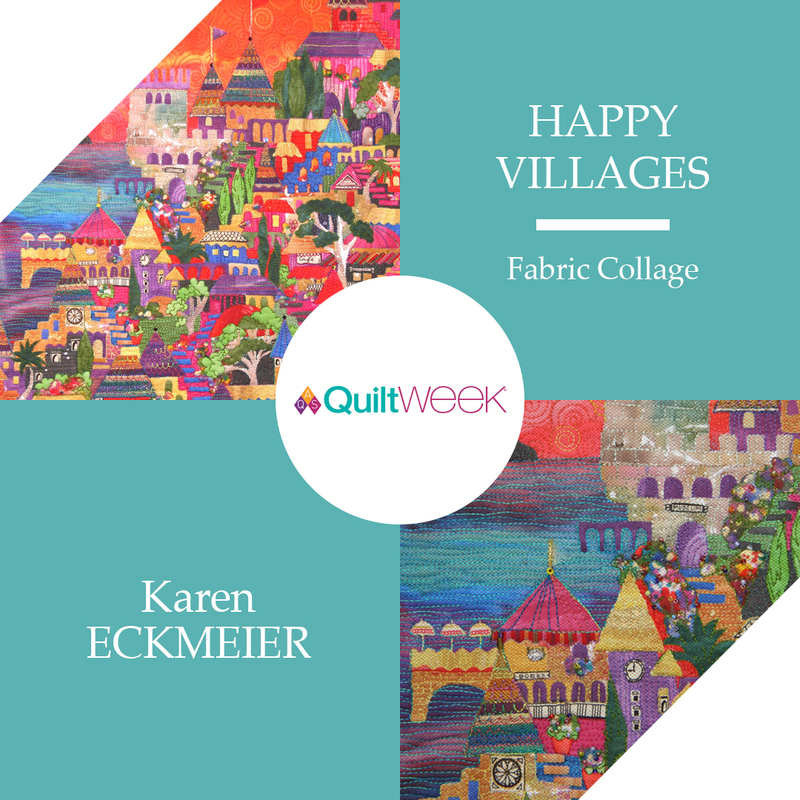 Happy Villages, Accidental Landscapes, Wearable Waves, and NEW Wiggles & Waves! It’s true that everywhere I look I see wiggles, lines and quilt patterns. Usually I’m looking at nature or architecture, but other artists' work catch my eye too. 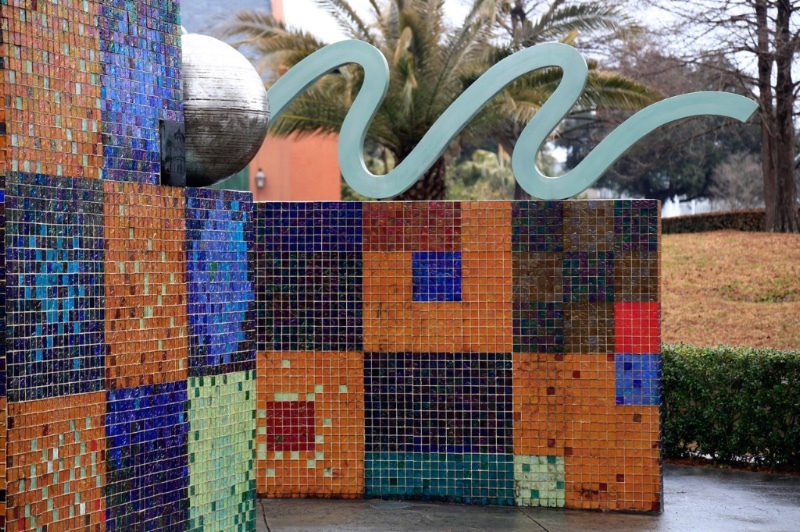 This is part of an art sculpture in the Louis Armstrong Park in New Orleans. It made me very happy! I thought you would enjoy it too. My new book is now available! Some of you already own a copy. Curves are easy when you topstitch them! 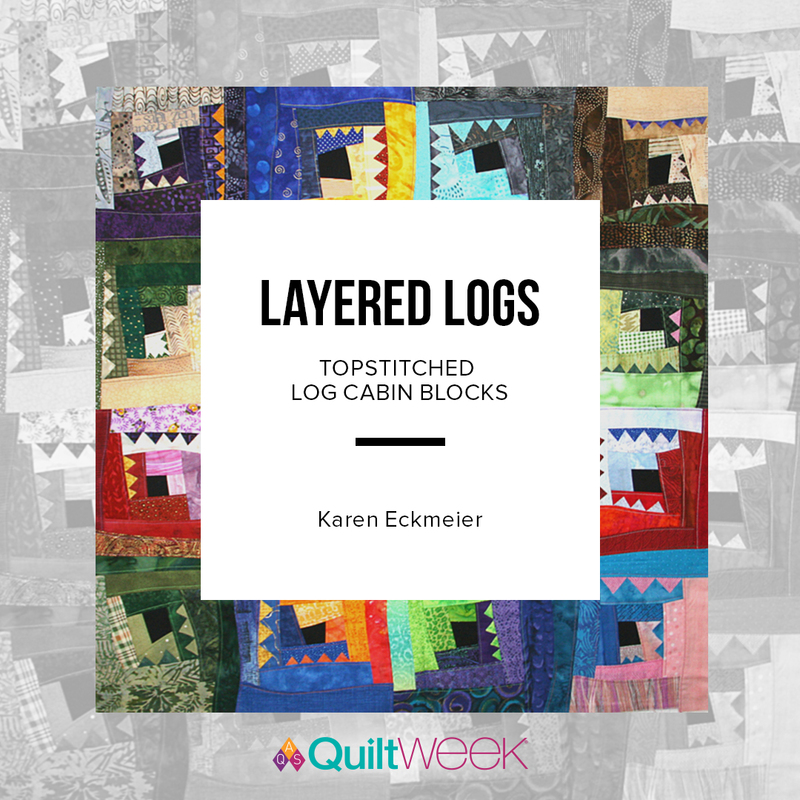 I gave an informal trunk show of all of the runners/quilts in the book at the Quilted Ewe in New Hartford, CT and recorded it for your easy viewing. 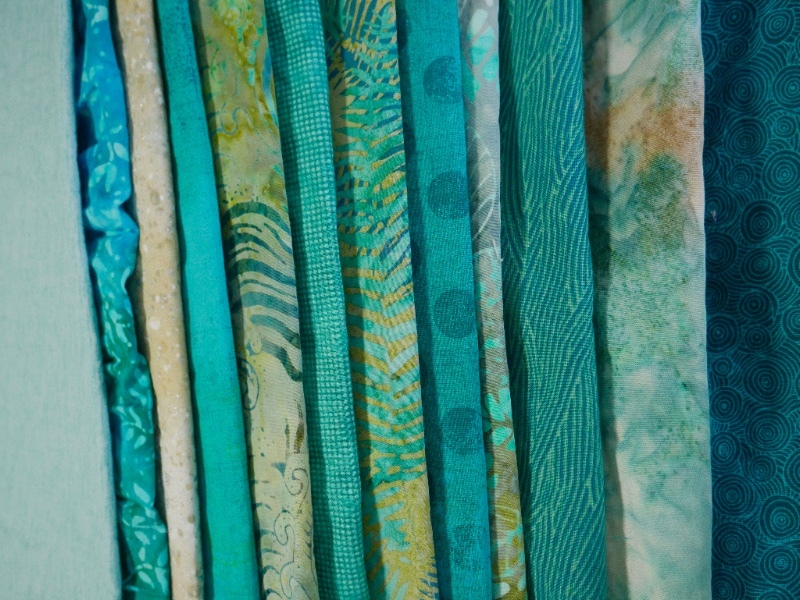 Here is the link to the trunk show of WIGGLES & WAVES at the Quilted Ewe. 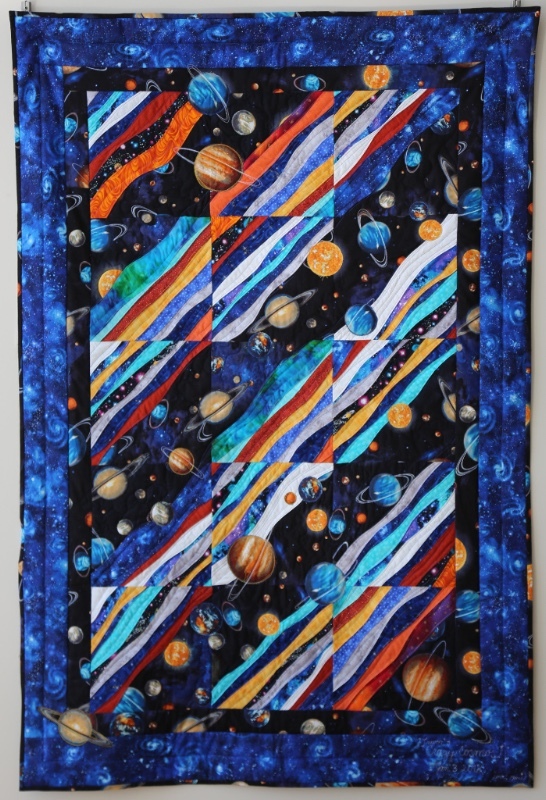 In the YouTube trunk show my grandson Trevor’s quilt “Crazy Cosmos” still needed the binding to be hand sewn. I finished it in time for his 12th birthday and he was delighted. 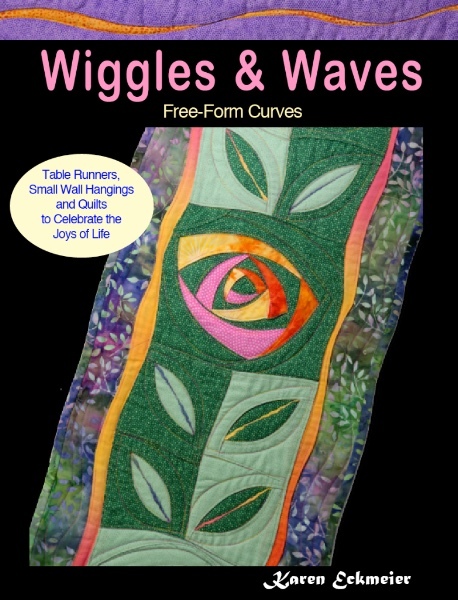 His little sister River celebrated her 5th birthday in early January also, so I gave her the “Butterflies Aflutter” quilt on pages 12-14 in the Wiggles Chapter of Wiggles & Waves. 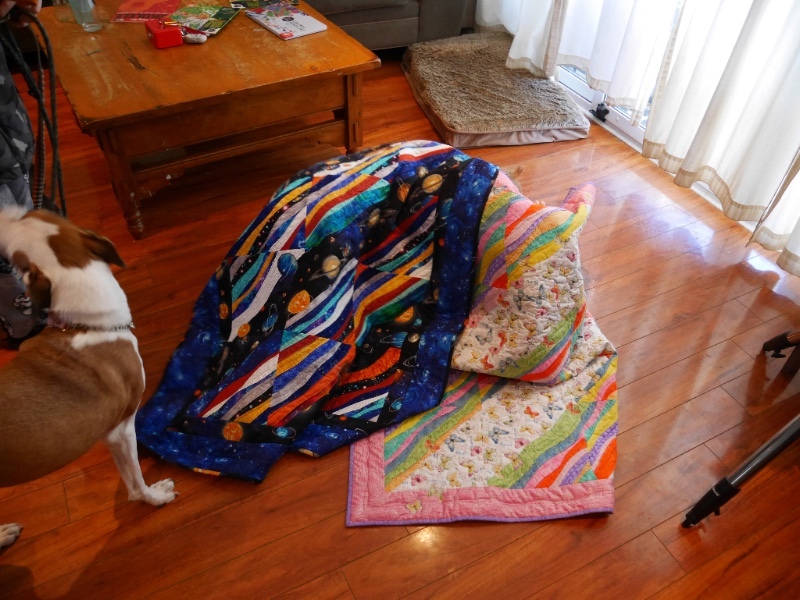 This is all we saw of both of them once the quilts were opened…..they literally wiggled undercover and stayed there!!! 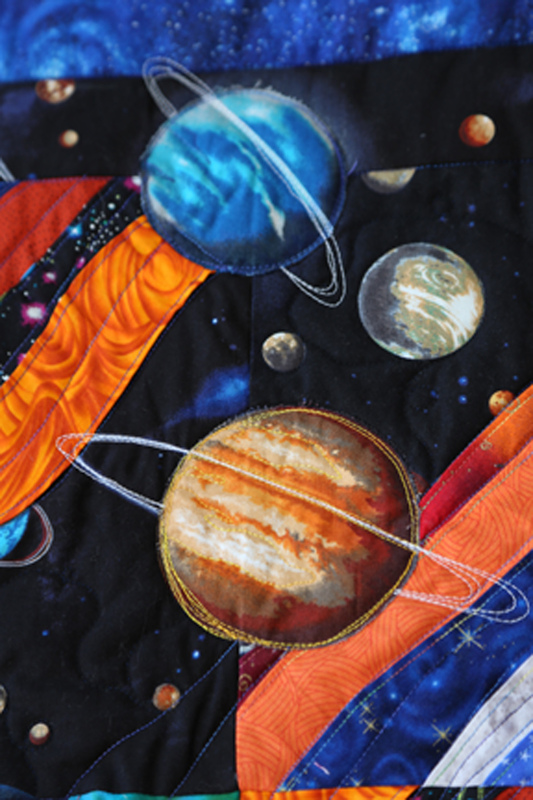 Since my new book is all about free-form topstitched curves, the sides of the quilts can be curvy also. 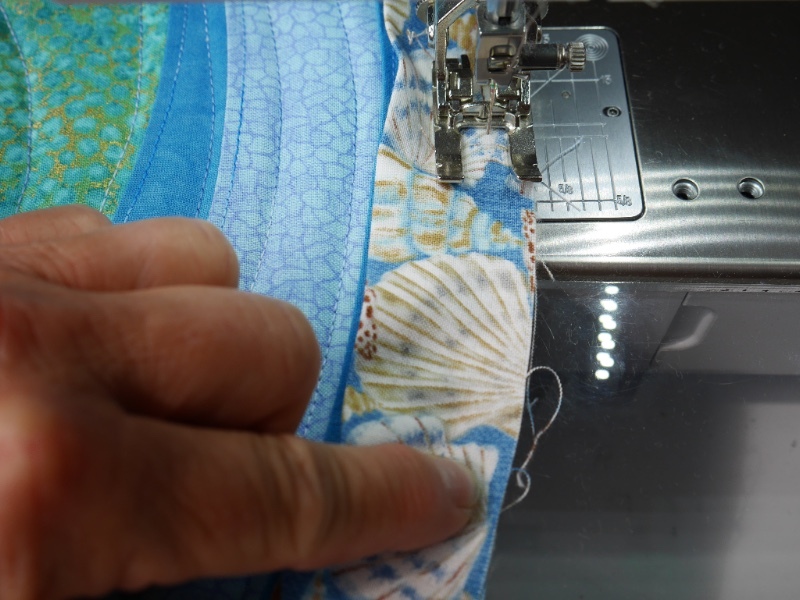 Here are a few hints to adding a binding to those gentle curves, without cutting the strips on the bias. 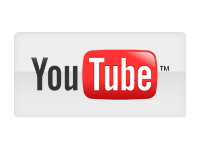 Here is the link to the new YouTube video on curved bindings. 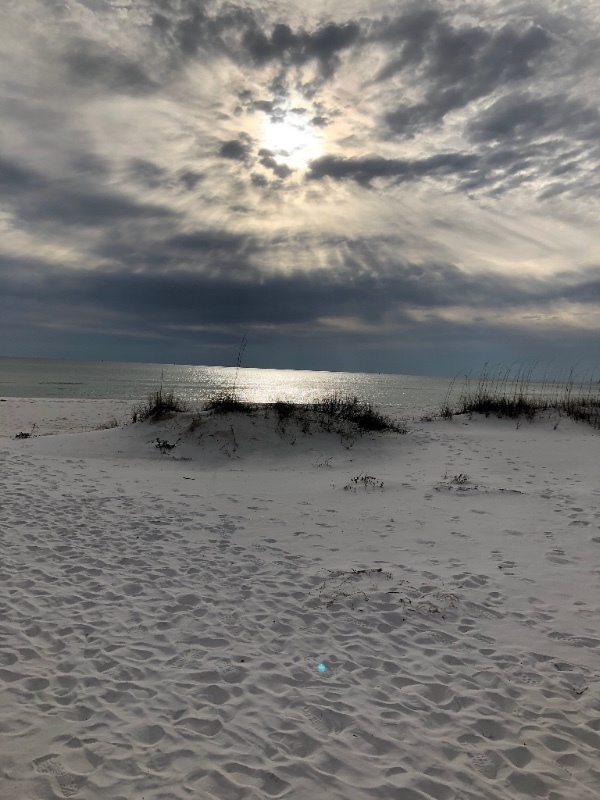 I started the year with several workshops in the panhandle of Florida. The “Accidental Landscapes: Beaches” workshop has always been a popular workshop. 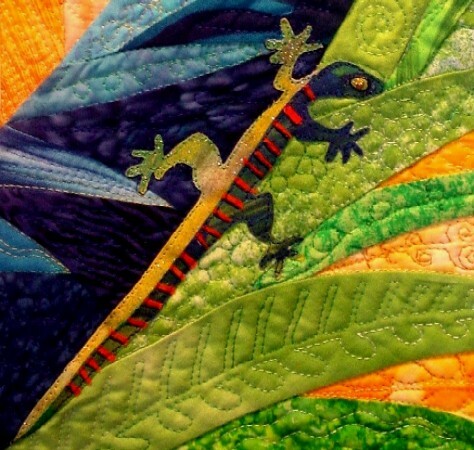 It’s fun for me to teach, because each student creates something different AND more important, the landscape is usually quilted and even bound by the end of class, which makes the students extremely happy. 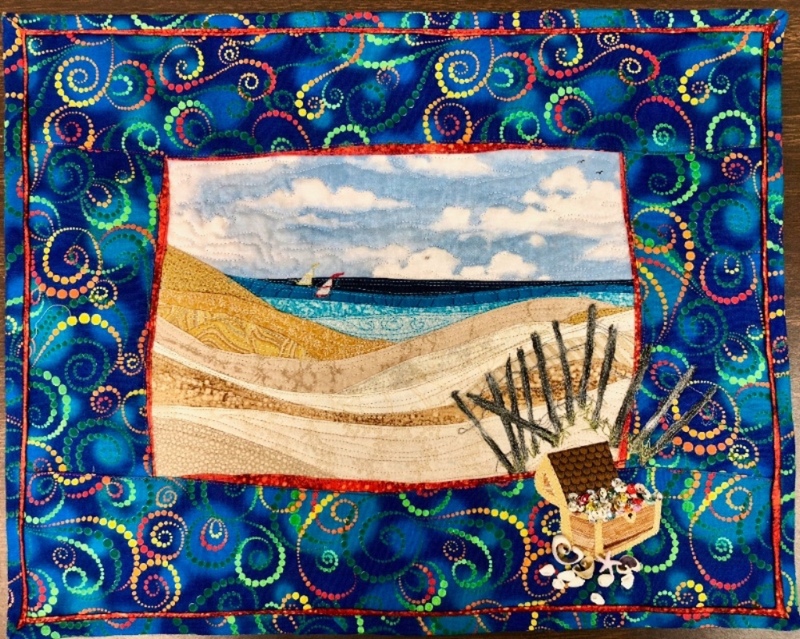 Here’s a fantastic Beach scene made by Cena Harmon this month in Florida, which includes her very own treasure chest!! So creative and just the right touch! This is the first treasure chest I have seen in my 16 years of teaching Beaches! Way to go Cena! Thanks for sharing! 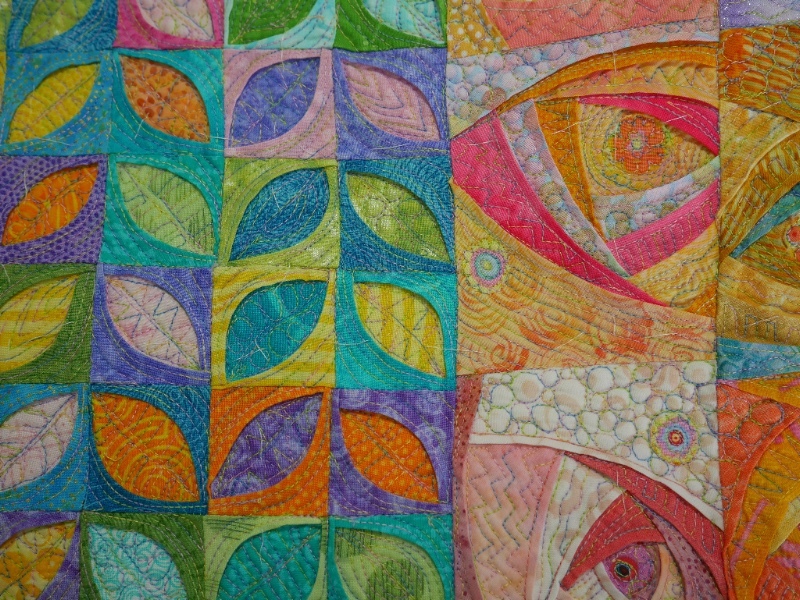 “Turning Over a New Leaf” is approximately 42” x 57”. 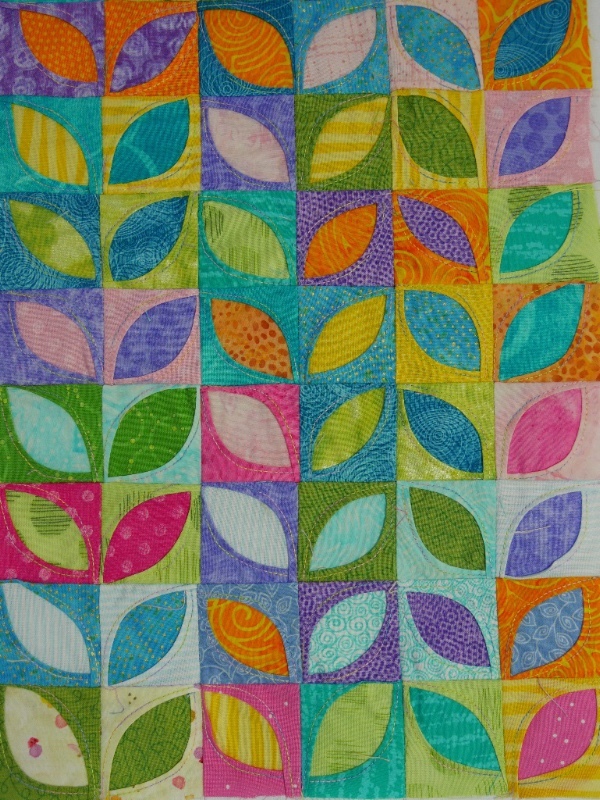 Two days ago I finally finished quilting 384 “Layered Leaves” and 49 “Twirls”. I finished quilting the borders yesterday and today I added the binding…..a curvy one, of course (very very gentle wiggles). The leaves were never meant to be this tiny (1.5” finished) nor were they supposed to be squared…curvy lines and uneven leaf forms was the original plan like I presented them in the Wiggles & Waves book...but that's another whole story. 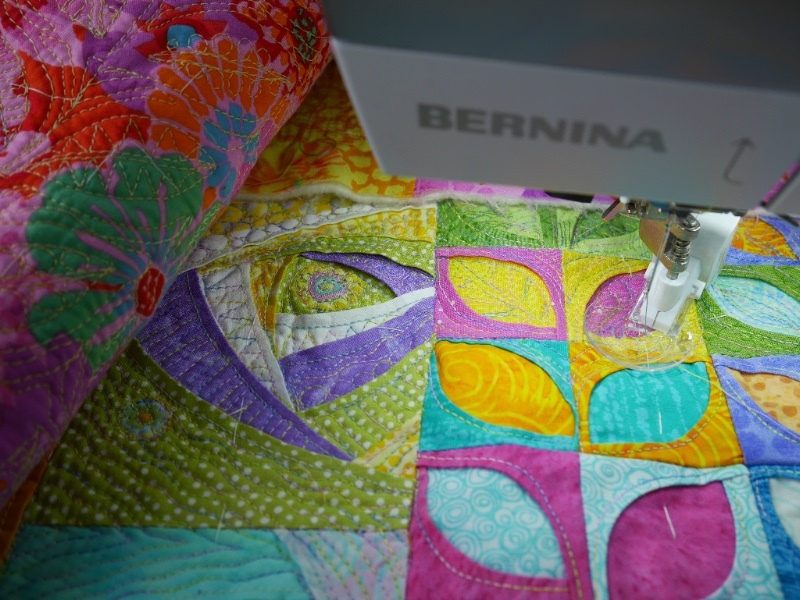 Here are the Layered Leaves unquilted and also during the quilting stage with my wonderful BERNINA 770QE. I’m excited with the results and will show you photos of how it progressed in the upcoming Spring newsletter along with the full view instead of these teaser close-ups! Here is the color palette of my next project. As soon as I finish “Turning Over a New Leaf” I’m all set to start a new skirt. 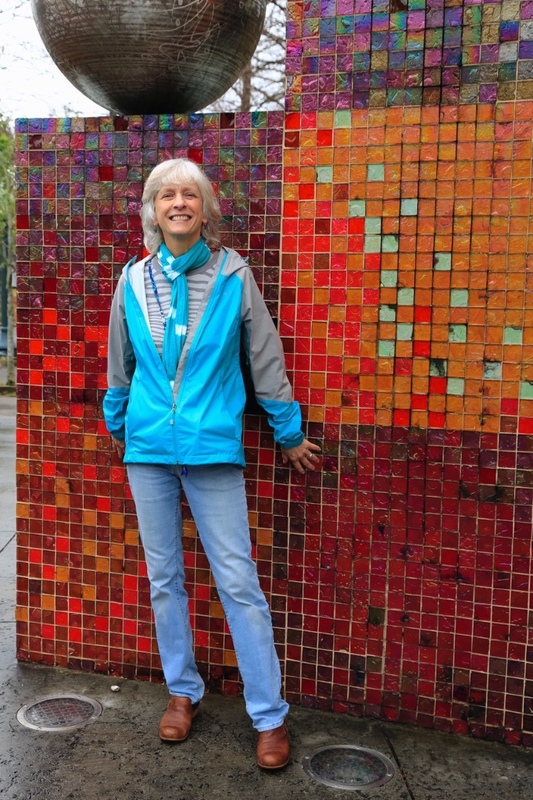 and a matching “Wild Woman” style Jacket (pages 54 -59 in the Wearable Waves book). I’ll keep you posted on my progress. 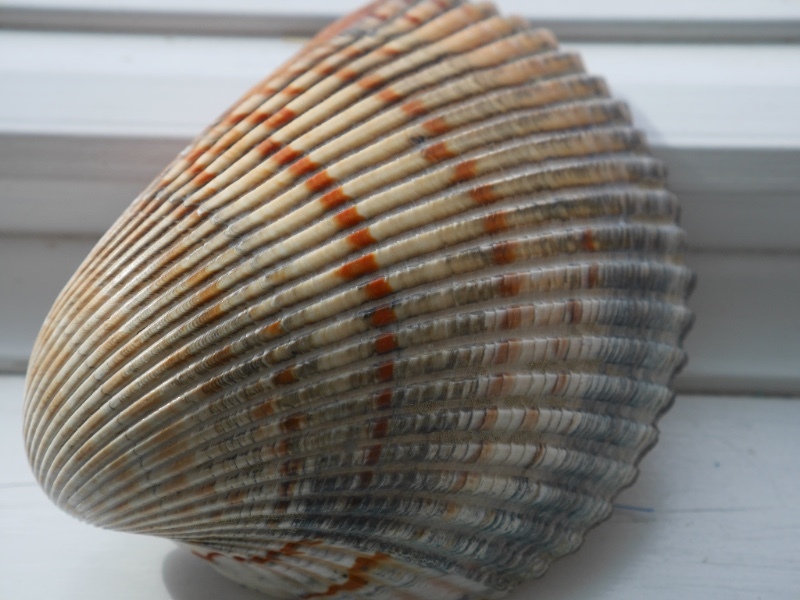 The wonderful colors of the beach during a cloudy sunset and a great shell pattern have me contemplating some more wiggles and curves. More details to follow if and when this idea develops further. 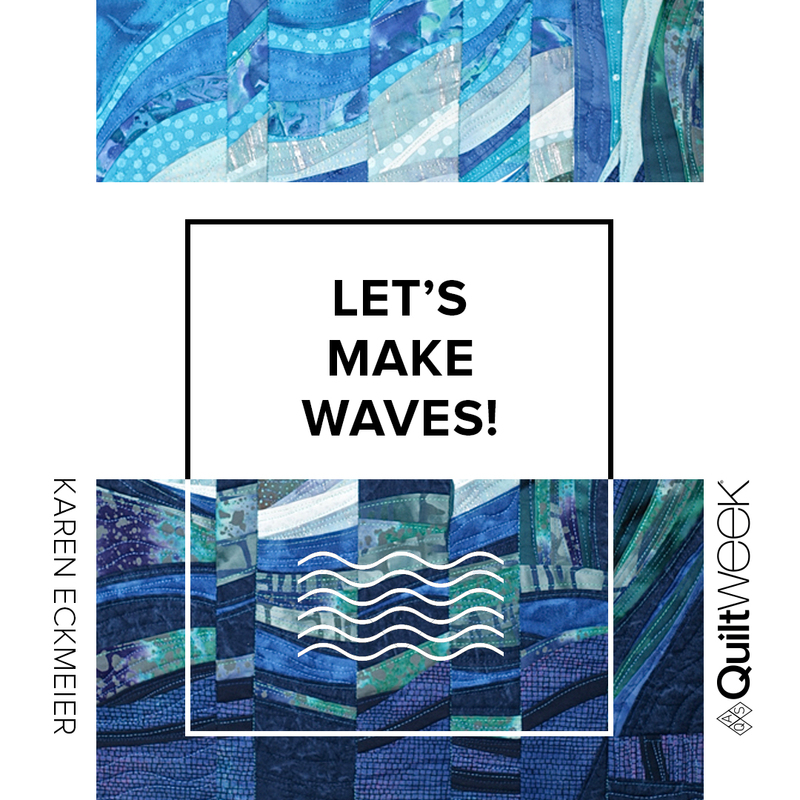 AQS QuiltWeek, Daytona Beach, FL Feb. 28 – March 3 (Feb 28 a.m. Random Roses 3 hour workshop, Feb. 28/PM.Layered Logs 3 hour workshop, ALL STAR REVIEW, Feb. 28 Evening – Demo of Accidental Landscapes technique, March 1/ AM Let’s Make Waves 3 hour workshop, March 1, 1:00-2:00pm Happy Villages & Accidental Landscapes Lecture, March 2 Happy Villages 6 hour workshop, March 3/ AM Mountain Views 3 hour workshop. All of my workshops are full at AQS Daytona Beach, EXCEPT the Random Roses 3 hour workshop, which still has a few spots. 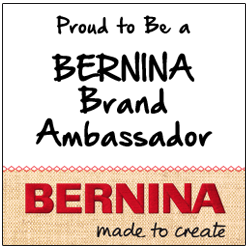 There’s still time to sign up, so please join me!!! 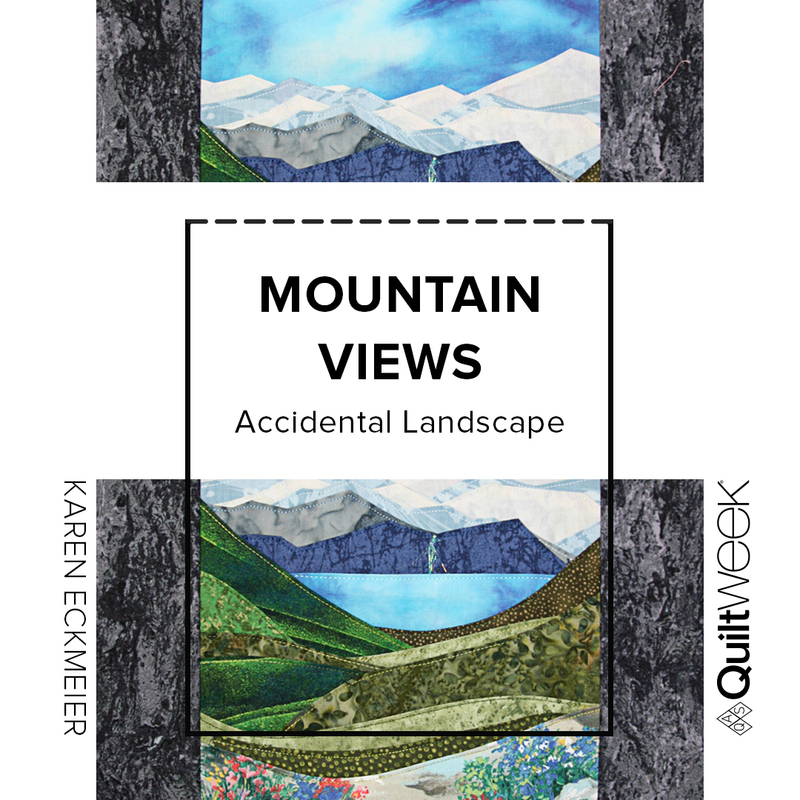 There's always extra room in a lecture, so you if you are interested you can join me for my "Happy Villages & Accidental Landscapes" lecture too. 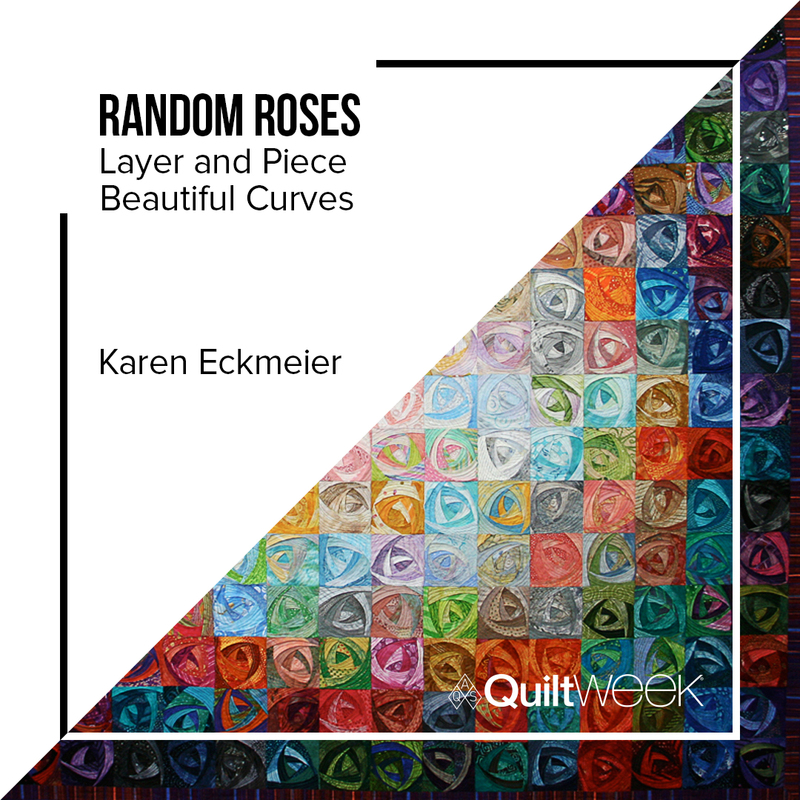 NOTE: The 2018 name of "Random Roses" in my new book is "Twirls". Same fun technique, just a different name.